The following forms can be found in the Animal Science Office located in building 10, room 141. The following forms can be found in the Records Office in building 1, room 222.
Who do I talk to for help picking classes next quarter? Students should talk with their advisers each quarter to determine what courses they need to complete. To find out a student's adviser, call the Animal Science Office at (805) 756-2419.
Who should I talk to for information about enterprise projects and how to sign up? For information about enterprise projects, students should speak with the project adviser. A current list of enterprises is posted in the Animal Science Office. Students are encouraged to ask professors about opportunities at each unit. Permission numbers to enroll in each class will be provided by the instructor in the first or second week of classes. How do I switch my major to Animal Science? Transferring into the Animal Science (ASCI) major is not an automatic process. Students desiring to change into the Animal Science major must meet the minimum qualifications and follow the application procedures outlined below. 1. 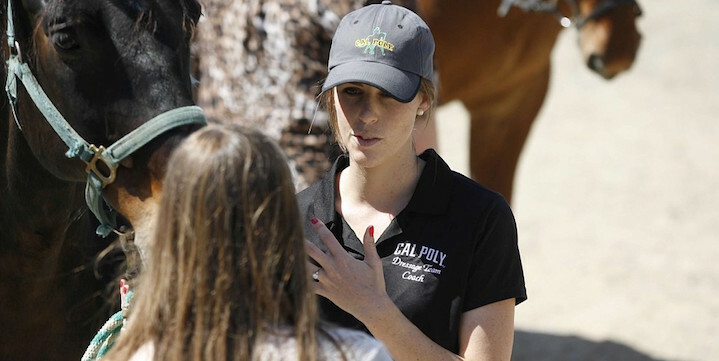 Log onto your Cal Poly Portal and select the “Change Your Major” item in the Academics tab. Follow the instructions there. 2. If the instructions on “Change Your Major” indicate you are eligible to apply for a change into ASCI, then you should contact the department office to reserve a spot in a group meeting with the department head. 3. After the group meeting, the department head will review all applicants for change-of-major to make a determination of eligibility. There are a limited number of seats each term, so approval of change-of-major is not guaranteed. 4. If the department head agrees to proceed, then s/he will initiate an Individual Change of Major Agreement (ICMA). This is an online process that requires a few levels of approval before you are accepted into the new major. This agreement will include, among other criteria, taking the aforementioned prerequisites.